Some time ago, I sat in church and got this thought: "Maybe membership in this church isn't more than a ritual!" I believe it might be, and I'll try to back up my belief in this post. Tag along! What is a ritual ordinance? Robert Sonntag explained it really well. "Ritual ordinances offered by the Church are symbolic of actual saving interactions with heaven. Those saving interactions are the “ordinances” which we must all seek. Wrongly depriving one of the ritual will not prevent them from obtaining what the ritual symbolizes, any more than performing the ritual guarantees the blessing it symbolizes." - Robert Sonntag, What is a prophet?, p. 47, footnote 195. The ritual ordinances are invitations to pursue the reception of something real. Consider the endowment. If you listen to the wording, we are asked to, "please be alert, attentive, and refrain from whispering during the presentation of the endowment." The wording is interesting. I might be reading too much into these words, but what I hear is that this isn't the endowment, but rather a symbolic presentation of how the real endowment can be achieved. So when we leave the temple after having received our own endowment, we haven't really received anything more than knowledge, we have been let in on the "sacred secret" of what the real endowment is and how it is received. What about membership in the LDS Church? Do you have to be a member of the LDS Church to be "saved" in the celestial kingdom? Do you have to be endowed (as in having gone through the temple)? These are hard questions, mostly because they have the potential of cutting to the very center of our unbelief. As factual questions, from my point of view, they are fairly easy. The ordinances help us, but some people don't need that help. Joseph got an audience with divine beings without a tempel, the scriptures of the restoration or the LDS Church. If he could, then why can't we? With this said, I believe that Joseph was inspired and divinely mandated to give the rest of us some help along the way, and if we are in the position of receiving it, I think we should. In the eternal scheme of things, membership in the LDS Church is in and of itself of no use. (But, I want to assert that we are free to make our membership sanctifying and saving). The membership is worthless but for what we put into it. Just like the ritual ordinances we participate in and receive. In this sense, membership in the LDS Church, could be an ordinance, just like all the other ritual ordinances. One might ask, "if the ritual ordinances is 'symbolic of actual saving interactions with heaven', then to what heavenly interaction are we pointed to as we take upon us the ritual ordinance of membership in the LDS Church?" 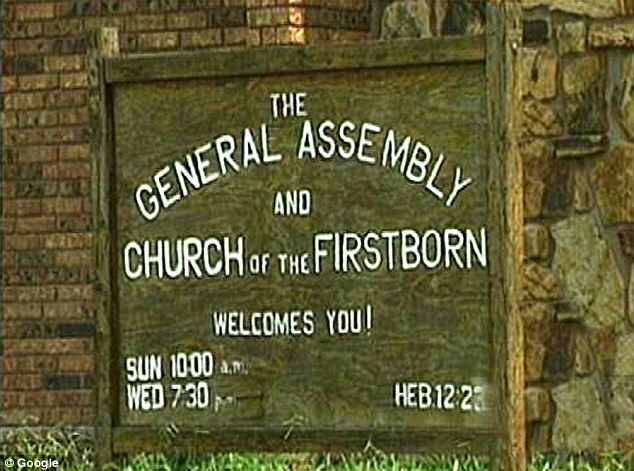 It points to membership in another church—the church of the Firstborn. When mormons talk about "the Church", they mean the LDS Church. But when Jesus speaks of his church, he means something other than an organization. Jesus established his doctrine saying, "Behold, this is my doctrine—whosoever repenteth and cometh unto me, the same is my church," followed by the warning that "whosoever declareth more or less than this, the same is not of me, but is against me; therefore he is not of my church." (D&C 10:67-68) The Church isn't anything else than a group of believers who strive to be true and peaceable followers of Christ (Moroni 7:3, 48), who meets together oft, to fast and pray, to speak one with another concerning the welfare of their souls, and partake of bread and wine, in remembrance of the Lord Jesus (Moroni 6:4-5). The Church is what happens when we get together and worship the Lord and fellowship each other. In this sense, church is beautiful. be a part of His church, all the time! Communion with this church is one of the spiritual blessings to which the keys are held by the higher, or Melchizedek, priesthood. Being a member of the church of the Firstborn seems important. And it also seems to be the result of receiving the Second comforter (to which the endowment points) and receiving priesthood from God (to which the ordination to the Melchizedek priesthood points), which all builds on the foundation of the Gospel of Jesus Christ. The thought of membership in the LDS Church as a ritual ordinance might, even though it might seem like a stretch, be helpful since it will help focus or thoughts on what aspects of our involvement in the church is relevant to us becoming members in the real church. And it emphasizes the need for faith, repentance, baptism and reliance on the Holy Ghost as our guide. Our service becomes more streamlined and we are able to more fully focus on the glory, honor and love of God and not get caught up in the thick of thin (Mormon) things. Am I treading thin ice here, or can you see where I'm coming from? What is a good Mormon? Traditionally, a good Mormon is some who keeps their mouth shut and their pocketbook open—paid, prayed and obeyed—is docile, always goes to church and follows everything told of them by the leadership. Overall, a good Moron is being seen as being ritualized, obedient and quiet. However, a good Mormon is none of those things at all. A good Mormon is a Mormon in the model of Jesus Christ—a revolutionary—someone who is not afraid to get up and speak the truth. Remember the only time Christ ever got angry was when He went to church. Born on a Sunday, christened on a Monday, baptized on a Tuesday, served a mission on Wednesday, married on Thursday, had kids on a Friday, died on a Saturday. A week in the life of a Mormon. I agree! The most radical thing we can do in life is to REALLY live the teachings of Jesus. It will make us truly peculiar. There are, I guess, some parts of being a real mormon that's unexplored. As long as we hold tight to the iron rod of the traditions of our fathers, we won't dare to leave the fold a be the ninety ninth sheep found by Jesus.